This page contains information about mixing zones and the hydrodynamics of the mixing process. Examples of mixing zones and CORMIX application are presented. In addition, related issues where CORMIX analysis is possible is given, along with information about areas in which additional model development is necessary. This information is not intended to endorse nor recommend any company, individual, or issue. Types of ambient water bodies to which CORMIX may be applied. Image: Natl. Geo. Society. CORMIX can predict mixing behavior from diverse discharge types ranging from power plant cooling waters, desalinization facility or drilling rig brines, municipal wastewater, or thermal atmospheric plumes. CORMIX can also be applied across a broad range of ambient conditions ranging from estuaries, deep oceans, swift shallow rivers, to density stratified reservoirs and lakes. Makes complete near-field and far-field plume trajectory, shape, concentration, and dilution predictions and visualizations. Includes plume boundary interactions, including dynamic near-field attachments. Predicts density current behavior with buoyant upstream wedge intrusion and stagnation points. Provides a documented analysis, complete with all rules used in classification and conclusions reached during a session. Models conservative, non-conservative, and heated pollutant types. Alerts user when plume encounters regulatory mixing zone constraints, including Toxic Dilution Zone CMC and CCC values. Application to steady, unsteady ambient currents/tides, or stagnant ambient conditions. Predicts stratified atmospheric plumes with skewed wind velocity. The Alaska Department of Environmental Conservation (ADEC) discusses the use of CORMIX in their Implementation Guidance For Mixing Zone Regulations. The California Water Resources Control Board (CA SWRCB) document titled "Management of Brine Discharges to Coastal Waters, Recommendations of a Science Advisory Panel" recognizes the use of CORMIX in modeling desalination discharges for water quality management. The Delaware Department of Natural Resources and Environmental Controls (DNREC) recognizes CORMIX for modeling impacts from confined disposal facilities in this policy document for dredge management. Florida Department of Environmental Protection (FL DEP) allows the use of mixing zone models like CORMIX (FL DEP does not mandate specific modeling approaches in its rules) for water quality modeling, as per the US EPA Region 4 State Review Framework And Integrated Clean Water Act Permit Quality Review FLORIDA document. The Department of Natural Resources Environmental Protection Division (GA DNR EPD) allows permittees to propose mixing zones by using data from water quality modeling with CORMIX, as per the US EPA REGION 4 NPDES PERMIT QUALITY REVIEW GEORGIA document. The Hawaii Department of Health (HI DOH) recognizes CORMIX in setting dilution requirements for wastewater outfalls in its administrative rules, Title 11, Chapter 54 on Water Quality Standards for water quality management. The Idaho State Department of Environmental Quality (ID DEQ) gives regulations, standard practices, and a detailed case study of CORMIX application in this page and report describing mixing zones procedures. The Illinois Environmental Protection Agency (ILEPA) has issued an NPDES permit where CORMIX was used for multiport diffuser modeling and to determine the size of the mixing zone. The Indiana Department of Environmental Management (IDEM) recognizes CORMIX for mixing zone modeling in this TMDL technical procedures guidance document. The Iowa Department of Natural Resources (IA DNR) recognizes the use of CORMIX for mixing zone modeling and analysis as part of its Water Quality Standards program in this Wasteload Allocation (WLA) Procedure document. The Kansas Department of Health & Environment (KDHE) recognizes CORMIX for mixing zone modeling in this implementation of procedures document. The Kentucky Division of Water (KY DOW) recognizes the use of the CORMIX for mixing zone water quality modeling as part of its Kentucky Pollutant Discharge Elimination System (KPDES) permitting authority in this General Procedures for Limitations Development document. The Louisiana Department of Environmental Quality (LA DEQ) recognizes CORMIX for mixing zone modeling in this TMDL technical procedures guidance document. The Maine Department of Environmental Protection (ME DEP) recognizes CORMIX for mixing zone modeling in this document. The Maine Department of Environmental Protection (ME DEP) General Permit on Antifouling Paint Contaminated Vessel Wash Water recognizes the use of CORMIX for computing dilution factors in MEPDES Permit #MEG170000. The Maine Department of Environmental Protection (ME DEP) utilized CORMIX in water quality modeling in this report titled "St George River Modeling Report, Final, April 2000" and related document. The Missouri Department of Natural Resources (MO DNR) specifies CORMIX as an example for choice of models under a proposed amendment to Title 10 CSR 20-7.031 Water Quality Standards in this document. The Montana Department of Environmental Quality (MT DEQ) indicates that CORMIX was used for mixing zone modeling in this permit document. The New Jersey Department of Environmental Protection (NJ DEP) recognizes the use of CORMIX for mixing zone evaluation in TITLE 7 of the NEW JERSEY Administrative Code on Surface Water Quality Standards. The New York State Department of Environmental Conservation (NY DEC) used CORMIX for developing acute and chronic limits for 15 WWTP chlorine discharges into Long Island Sound in this report. The North Carolina Department of Environmental Quality (NC DEQ) recommends use of CORMIX as an analytical model for NPDES mixing zone permits, and this document explains State interpretation of mixing zones and presents two case study examples of CORMIX application. The Oregon Department of Environmental Quality (OR DEQ) has developed water quality standards for temperature and guidance on regulatory mixing zones. The CORMIX model was used in the development of some of these guidance documents. The South Carolina Department of Health and Environmental Control (SC DHEC) recognizes the use of CORMIX for making mixing modeling calculations as part of its permitting process as per this USEPA Region 4 document. As per this document, "The CORMIX model has been used by the South Carolina Department of Health and Environmental Control and the regulated community for many years, and it has become the SCDHEC-required standard for designing effluent discharge structures, estimating the size of discharge plumes/mixing zones, and maximizing instream mixing to achieve more favorable NPDES permit limitations and the regulated community for many years, and it has become the SCDHEC-required standard for designing effluent discharge structures, estimating the size of discharge plumes/mixing zones, and maximizing instream mixing to achieve more favorable NPDES permit limitations." The Texas Commission on Environmental Quality (TCEQ) (formerly known as the Texas Natural Resources Conservation Commission) recognizes the use of CORMIX in the evaluation of multiport diffuser designs in this guidance document, "Procedures to Implement the Texas Surface Water Quality Standards". The Virginia Department of Environmental Quality (VA DEQ) indicates the use of CORMIX to study dispersion from a large seawater reverse osmosis plant in this desalination feasibility study and guidance document. This Virginia Water Protection Permit and Report discussed the use of CORMIX for mixing zone modeling and analysis. The Washington State Department of Ecology (WA DOE) recognizes the use of CORMIX in mixing zone analysis is this Water Quality Program Permit Writer,s Manual. The West Virginia Department of Environmental Protection (WV DEP) outlines the use of CORMIX in mixing zone analysis in this guidance document. The Wisconsin Department of Natural Resources (WI DNR) recognizes CORMIX for thermal mixing zone modeling in this guidance document. The Wyoming Department of Environmental Quality (WY DEQ) includes CORMIX as a methodology to determine mixing zones in this document on Surface Water Quality Standards. The US EPA National Pollutant Discharge Elimination System (NPDES) Permit Writers, Manual suggests the use of the CORMIX model for modeling heavy metals in an incomplete mix situation. The US EPA's "Technical Support Document For Water Quality-based Toxics Control", March 1991 document (EPA/505/2-90-001) indicates that CORMIX is useful to regulators for regulatory mixing zone modeling and analysis. NPDES Permit Number: AKG-28-5100, NPDES General Permit for Oil and Gas Exploration Facilities in Federal Waters of Cook Inlet, AK states that CORMIX is an appropriate model for discharges authorized under NPDES permits for oil and gas related discharges. NPDES Permit Number: GMG290000, NPDES General Permit for New and Existing Sources and New Dischargers in the Offshore Subcategory of the Oil and Gas Extraction Point Source Category For The Western Portion of the Outer Continental Shelf of The Gulf Of Mexico, requires that the critical dilutions be calculated using the CORMIX model. European Union: Europe's Common Implementation Strategy - Water Framework Directive's (CIS-WFD) "Technical Background Document on Identification of Mixing Zones" (available at European Commission CIRCABC) and document titled "CIS Guidance On Setting Mixing Zones, Annexes To The Guidance" (available at CIRCABC) indicates that the CORMIX model may be used for Tier 2 and Tier 3 assessments. Albania: This report titled "ALBANIA: Power Sector Generation and Restructuring Project (IDA Credit No. 3872-ALB)" discusses the use of CORMIX for thermal impact modeling. Australia: This BMT WBM report titled "Assessment of Environmental Impact of STP Discharge to Evans River", 2010 describes the use of CORMIX to determine the initial dilution of the effluent (i.e. mixing of discharge) into receiving water. Australia: The Government of South Australia's Assessment Report titled "Environmental Impact Statement Olympic Dam Expansion", September 2011 mentions the use of the CORMIX model to validate CFD model results. Australia: The Browse FLNG Development project indicates the use of CORMIX for near-field modelling of wastewater dispersion close to the outfall in support of EIS. Azerbaijan: The draft report titled "Hydrodynamic and Dispersion Modeling for the Azeri, Chirag, Gunashi Field Offshore Baku, Azerbaijan", 2001, indicates the use of the CORMIX model to conduct thermal dispersion simulations to characterize cooling water discharges. Austria: Dr. Bernhard H. Schmid, has presented a paper on using CORMIX for evaluation of the Donaustadt thermal power station diffuser cooling water discharge, which has been accepted for presentation at the 2007 IAHR Congress held in Venice. Belgium: A Belgium Power Company (Beverev-Waas - Electrabel NV) evaluates CORMIX for assessment of thermal discharges in this Dutch Document. Brazil: The paper titled R. Sarmento et al., "Application of computer software to determine water bodies assimilative capacity in effluent wastewater disposal"., Transactions on Ecology and the Environment vol 25, 1998 WIT Press, ISSN 1743-3541, discusses the use of the CORMIX model to determine the assimilative capacity of the Vitoria Bay in Brazil, considering the effluent from the Pedreira WWTP. Brazil: E. B. Marecellino and J. P. Ortiz demonstrate the use of CORMIX to determine the performance of marine outfalls in "Systematization of Submarine Sewers Operated By Basic Sanitation Company of Sao Paulo State-SABESP and Performance Evaluation Carried Out by the CORMIX Expert System Application" in Proceeding XXIX IAHR Congress, Beijing China, September 16-21 2001. Canada: Alberta Environmental Protection recognizes the use of CORMIX in determination of mixing zones in this water quality guidance document. Canada: Health Canada uses CORMIX for exposure assessment from ammonia in the aquatic environment. Canada: This guidance document from Environment Canada, discusses the use of CORMIX for thermal plume analysis in the Detroit River. Canada: This paper, Vandenberg, J.A., Herrell, M., Faithful, J.W. et al., "Multiple Modeling Approach for the Aquatic Effects Assessment of a Proposed Northern Diamond Mine Development" Mine Water Environ (2016) 35: 350. https://doi.org/10.1007/s10230-015-0337-5, uses the CORMIX model to evaluate water quality in Lake N11. Canada: This report titled "Technical Data Report: Hardrock Project - Assimilative Capacity Study of Southwest Arm of Kenogamisis Lake", May 2017 discusses the use of CORMIX for near-field modeling of effluent plume dispersion from mining operations. Chile: The report titled "ESTUDIO DE LA DESCARGA DE SALMUERA DE LA NUEVA PLANTA DESALADORA DE AGUAS", 2010 indicated that CORMIX was used to model brine discharges from the Antofagasta Desalination Plant in Chile. China: Y. Yang et al., "Near Field Simulation of Low Level Waste Water Released from Nuclear Power Plants in Rivers through Surface by CORMIX", Advanced Materials Research, Vols. 807-809, pp. 113-117, 2013, doi:10.4028/www.scientific.net/AMR.807-809.113, describes the use of the CORMIX model to simulate low level radioactive liquid effluent discharge from an inland nuclear power plant. Colombia: Bleninger, Tobias. (2007). "Coupled 3D hydrodynamic models for submarine outfalls: Environmental hydraulic design and control of multiport diffusers". Diss. Inst. Hydromech. 2006. 10.5445/KSP/1000006668. discusses the linking and use of the CORMIX and Delft3D models to simulate the Cartagena outfall in Colombia. Ecuador: Ever since Charles Darwin developed his theory of evolution, the Galapagos Archipelago has been known for its unique ecosystem and biodiversity. Today the islands are a center of ecological conservation and international scientific research. Here is a description on how CORMIX was applied for environmental impact assessment of wastewater effluent plumes. Egypt: The paper titled Abdellatif, et al., (2105) "Combined Near-field and Far-field Models to predict Mixing Processes of Complex Cooling", Nile Water Science & Engineering Journal, Vol. 8, Issue 1, 2015 discusses a linking approach between the near-field model CORMIX and a far-field model DELFT 3D to model the mixing processes of interacting, complex cooling water discharge sources in the Nile River. Egypt: This draft report titled "ENVIRONMENTAL IMPACT ASSESSMENT (EIA) FOR A PROPOSED METHANOL FACILITY IN DAMIETTA PORT", indicated the use of CORMIX to model the thermal discharge from a proposed outfall from a methanol plant to be built within Damietta Port, Egypt. The CORMIX model was used to determine the predicted temperature differential between the discharge effluent and the receiving environment. Finland: This report titled "BALTICCONNECTOR - Natural gas pipeline between Finland and Estonia, 2015 Environmental impact assessment report, Finland" indicates the use of CORMIX to model the initial water dilution and mixing from discharge of pipeline cleaning materials like oxygen scavengers or biocides. France: Devault, Damien & Pene-Annette, Anne. (2017). "Analysis of the environmental issues concerning the deployment of an OTEC power plant in Martinique. Environmental Science and Pollution Research. 10.1007/s11356-017-8749-3." indicates the use of the CORMIX model for analyzing effluent impacts from an OTEC plant. Gaza, Palestinian Territory: This Master's Thesis titled "Numerical Modeling of Brine Disposal for Gaza Central Seawater Desalination Plant", 2016, by Hassan S. Al-Najjar, Islamic University Of Gaza, indicates the use of CORMIX to model brine discharge behavior. Guam (U.S. island territory): This SPAWAR Technical Report 2068, July 2016 titled "Development of Site-Specific Water Quality Criteria for the Arpa Harbor Wastewater Treatment Plant in Tipalao Bay, Guam", P. J. Earley, et al., describes the use of CORMIX to simulate mixing characteristics for the discharge from the Apra Harbor WWTP in Agat, Guam, into the waters of Tipalao Bay. Guyana The revised Environmental Impact Assessment documents and related Technical Appendices for the "Liza Phase 1 Development Project, Esso Exploration and Production Guyana, Limited (EEPGL)" available for download from the Environmental Protection Agency - Guyana, indicate that CORMIX was used to model the mixing zone around the drill ships and floating production storage and offloading (FPSO) units , to support an analysis of impacts on marine water quality from routine production operations discharges and one-time hydrotesting discharges. India: The National Environmental Engineering Research Institute (NEERI), Government of India, used CORMIX for assessment of disposal of dredged spoils in a report titled "Environmental Impact Assessment for Proposed Sethusamudram Ship Channel Project". The report is available at this link. India: The National Environmental Engineering Research Institute (NEERI), Nagpur, India discusses the use of CORMIX for designing a cooling water outfall discharge from an LNG Plant in the following paper, Nigam, S., Rao, B. and Srivastava, A. (2013), "Effect of Thermal Discharge of Cool Water Outfall from Liquefied Natural Gas (LNG) Plant into Sea Using CORMIX". Journal of Computer and Communications, 1, 1-5. doi: 10.4236/jcc.2013.14001. India: This paper titled Buvaneshwari et al. (2014), "Thermal Pollution Modeling of cooling water discharge into a closed creek system". Indian Journal of Geo-Marine Sciences, Vol. 43(7),pp. 1415-1421, discusses the use of CORMIX for modeling near-field dispersion characteristics of a thermal discharge from a power plant. Indonesia: The report titled "ENVIRONMENTAL IMPACT MODELING of The TANGGUH LNG EXPANSION PROJECT", 2013, indicates that the near-field calculations were done using the CORMIX model. Additional information is also presented in this 2012 document. Ireland: CORMIX was utilized in the Greater Dublin Drainage (GDD) project for hydrodynamic modelling as indicated in this 2013 report titled "Greater Dublin Drainage Alternative Sites Assessment and Route Selection Report (Phase 4): Final Preferred Site and Routes Appendix 12 Hydrodynamic Modelling". Additional project reports are available in the GDD Project Website. Italy: The Torrevaldaliga Sud Power Station - Design, review and thermal dispersion analysis project used CORMIX for numerical near-field modelling of the thermal dispersion. Latvia, Lithuania: This report titled "WP3. Development Of Modelling And Supporting Data Set" discuss the use of CORMIX model for mixing zone modeling and analysis as part of an EU funded project LLIV-303 HOTRISK "Towards a harmonised water quality and risk management." New Zealand: The National Institute of Air and Water Research (NIWA) in Hamilton, New Zealand, uses CORMIX for mixing zone simulation in Waimakariri District Ocean Outfall Option, an outfall diffuser siting study for a coastal wastewater discharge. New Zealand: In the report titled "Akaroa Wastewater Options: Harbour Discharges Risk Analysis", 2009, the dispersion and dilution characteristics of waste water treatment plant effluent discharge from several outfall options were evaluated using CORMIX. New Zealand: The National Institute of Air and Water Research (NIWA) report titled "Otago Harbour Stormwater Discharge Modelling", 2012, and related document describes the use of CORMIX for modeling stormwater discharges. Oman: In the report titled "Environmental Impact Assessment for Salalah Methanol Project", April 2006, the dispersion and impacts of effluent salinity and temperature at a marine outfall was modeled using CORMIX. Oman: "Purnama, Anton & Baawain, Mahad & Shao, Dongdong. (2015). CORMIX Simulations of Dredged Sediment Discharges in Coastal waters. ", 5th International Conference on Estuaries and Coasts (ICEC2015) November 2-4, 2015, Muscat, Oman describes the use of CORMIX to model dredge sediment discharges. South Africa: This draft report titled "Desalination Project Hout Bay Outfall - Specialist Report", September 2017, indicates the use of CORMIX for near-field modeling of the combined brine and wastewater discharge into Hout Bay. United Kingdom: The Scottish Environment Protection Agency (SEPA) recommends use of CORMIX for initial dilution modeling in "Initial Dilution and Mixing Zones for Discharges from Coastal and Estuarine Outfalls", 1998. United Kingdom: The Scottish Environment Protection Agency (SEPA) approves the use of CORMIX for initial dilution modeling in "Supporting Guidance (WAT-SG-11) Modelling Coastal and Transitional Discharges", 2013. United Kingdom: Water authorities apply a diversity of models and input data to set water quality-based emission limits in discharge permits. To illustrate the consequences of model and data selection, A. M. J. Ragas and R. S. E. W. Leuven compare results from two complete mixing models and four mixing zone models used in Germany, the United Kingdom (UK), the Netherlands and the United States of America (USA) were applied to various discharges of cadmium in "Modelling of water quality-Based Emission Limits for Industrial Discharges in Rivers", in Water Science Technology Vol. 39, No.4 pp.185-192 1999. Peru: The paper titled "La Taboada (Lima-Peru) outfall", E. Pita, I. Sierra, International Symposium on Outfall Systems, May 15-18, 2011, Mar del Plata, Argentina states that CORMIX was coupled with a far-field implementation of conservative/non-conservative tracer given by ROMS (Regional Ocean Modelling System) for optimizing the La Taboada sewerage outfall discharge into the Pacific Ocean in Peru. Portugal: In a study of a wastewater diffuser in the Atlantic ocean on the Lisbon, Portugal coast, J. Matos et al. use CORMIX to simulate wastewater dispersion and improve field data collection techniques in Wastewater Diffusion in the Estoril Coast: Theoretical Calculations and Field Studies" in Water Science Technology, Vol. 38, No. 10, pp.337-334, 1998. Spain: In analysis of wastewater dispersion for the City of Barcelona on the Spanish Mediterranean Coast, A. Rodriguez et al. use CORMIX in conjunction with far-field dispersion models to predict waste field behavior in "Pollutant Dispersion in the Nearshore Region: Modelling and Measurements, in Water Science Technology, Vol. 12, No. 9-10, pp 169-178, 1995. Spain: INCREA consultants indicate that CorJet was used in the project titled "Study Of Initial Dilution Of The Outfall For The Campos Dalias, Almeria, Spain. Desalination Plant" in their references link. Sweden: In the thesis titled "Water Framework Directive and Mixing Zone Guidelines Applied on a Smelter and Mine Scenario at two Boliden Sites", 2011 by Arnola Ceka, (Swedish University of Agricultural Sciences) the author describes the use of the CORMIX model for mixing zone analysis based on the tiered analysis approach recommended by the EU Water Framework Directive (WFD). Turkey: This paper titled "Deep Sea Outfall of Natural Gas Fired Combined Cycle Power Plant Cooling Water Application and Modeling", Tolga Ayeri1, Yuksel Ardali, EJENS, Volume 2, Issue 1 (2017) indicates the use of CORMIX to model cooling water discharge from natural gas combined cycle power plants to the Black Sea region of Turkey. Cornell University applied CORMIX in environmental impact assessment on Lake Cayuga for its new Lake Source Cooling Project. Lake Source Cooling technology utilizes the thermal storage capacity from large deep lakes to provide chilled water for air conditioning demand. This report details the application of CORMIX for environmental impact assessment. A well-known engineering consulting firm reports how CORMIX is applied for regulatory compliance of thermal discharges. In this particular application, the impacts on a sensitive species of freshwater mussel from a cooling water discharge under various design conditions is analyzed with CORMIX3. This report titled "Watts Bar Nuclear Plant Supplemental Condenser Cooling Water Project, Thermal Plume Modeling", December 1997 describes the use of CORMIX to model the mixing of the discharge from the Watts Bar Fossil Plant (WBF) discharge structure into the Tennessee River. This chapter in the report titled "Framework for Formulating the Mount Hope Bay Natural Laboratory: A Synthesis and Summary", May 2003 by the Mt. Hope Bay Natural Laboratory at the University of Massachusetts, Dartmouth uses CORMIX to simulate the near-field dynamics of a thermal plume. This report titled "CORMIX THERMAL MIXING ZONE ANALYSIS AND DILUTION STUDY Chesapeake Bay at Calvert Cliffs Nuclear Power Plant, Maryland", 2007, states that the CORMIX model was used to calculate the size of the thermal plume produced by the proposed Calvert Cliffs Unit 3 discharge and to compute liquid effluent dilution factors. The US NRC report titled "Final Supplemental Environmental Impact Statement for Combined Licenses (COLs) for Vogtle Electric Generating Plant Units 3 and 4, Final Report, March 2011, (NUREG-1947) indicates that CORMIX was used for thermal plume analysis. In the Pacific Northwest, the several species of Salmon have been placed under the jurisdiction of the Endangered Species Act. Salmon migrate to and hold in mixing zones characterized by cool thermal refugia habitat to survive in freshwater during warm months. Refugia habitat has been associated with cool tributary source mixing and groundwater recharge areas. Physical mixing zone thermal refugia characteristics may be predicted by CORMIX models. The National Marine Fisheries Service applied CORMIX for fish habitat assessment from power plant thermal discharge in an estuary. The Bellefonte Nuclear Plant: Environmental Impact Statement details the results of the study. A USGS report outlines a study in Colorado for study of thermal diversity in the Poudre River in Colorado. Researchers have reported the role of tributary thermal refugia habitat for Striped Bass in the Pascagoula River. The toxicity of acid mine drainage to fish is studied in a field experiment within tributary mixing zones. This report highlights how juvenile Bluegill fared in mixing zones. Downstream migration of juvenile salmon experience high mortality rates when smolts pass through turbines rather than fish passage structures. Introduction of turbulence can provide an attraction flow to fish passage diversion structures in dam forebays to bypass turbine intakes. This paper titled "Turbulent Attraction Flows for Guiding Juvenile Salmonids at Dams" by C.C. Coutant (see also Oak Ridge National Laboratory Report Number ORNL/TM-13608) outlines how the CORMIX model could be used to design turbulent jets to help guide young fish around damns in down river migration. The California Coastal Commission published a report titled "Seawater Desalination in California (1993)"on potential environmental impacts of desalination facility discharge. As freshwater resources for water supply become more scarcer, many coastal communities may begin to consider seawater desalination as a source of supply. CORMIX1 and CORMIX2 can be directly applied to analyze the mixing and effluent dispersion from many of these discharges. Ahmad, Mansoor (2002), "Environmental effects of multi-stage flash (MSF) desalination plant at Al-Jubail, Saudi Arabia"., Master's thesis, Memorial University of Newfoundland, describes the use of the CORMIX model for prediction of plume dilution from brine discharge. A Middle East Desalination Research Center (MEDRC) sponsored study titled "Brine Discharge Management - Environmental planning, prediction and management of brine discharges from desalination plants" used the CORMIX model for mixing and dilution analysis of brine and desalination discharge disposal. In the paper by I.Alameddine, M.El-Fadel, titled "Brine discharge from desalination plants: a modeling approach to an optimized outfall design", Desalination Volume 214, Issues 1-3, 15 August 2007, Pages 241-260 doi: 10.1016/j.desal.2006.02.103 various scenarios were defined and simulated using the CORMIX model to compare the mixing behavior and efficiency of surface, submerged single-port as well as submerged multi-port outfalls for brine discharge. This paper A. Vaselali and M. Vaselali, 2009. "Modelling of Brine Waste Discharges Spreading Under Tidal Currents". Journal of Applied Sciences, 9: 3454-3468. (doi: 10.3923/jas.2009.3454.3468), discusses the use of CORMIX for near field analysis. Purnama, Anton & Baawain, Mahad & Shao, Dongdong. (2016). "Mixing zone analysis of surface brine discharges in coastal waters". Aquatic Ecosystems: Influences, Interactions and Impact on the Environment. 67-86. Brookhaven National Laboratory has applied CORMIX for environmental impact assessment from produced water discharges from offshore petroleum production, in this report titled " Risk Assessment For Produced Water Discharges To Open Bays In Louisiana "
In the paper by Jody A. Berry and Peter G. Wells, "Integrated Fate Modeling for Exposure Assessment of Produced Water on the Sable Island Bank", Environmental Toxicology and Chemistry, 2004, Vol. 23, No. 10, pp.2483-2493, the authors use CORMIX for initial dilution modeling for exposure assessment from produced water discharges in Nova Scotia. The paper titled K. Hawboldt, S. Adams, "A comparison of PAHs in produced water discharges and flared gas emissions to the ocean", OCEANS, 2005. Proceedings of MTS/IEEE (doi: 10.1109/OCEANS.2005.1640095) indicates that a produced water outfall was simulated using CORMIX. This paper, Mohammed, Niaz & Husain, Tahir & Bose, Neil & Veitch, B & Hawboldt, Kelly. (2009). "Decision support system for risk management of produced water in offshore oil and gas industries". International Journal of Water. 5. 10.1504/IJW.2009.023083., indicates that the initial dilution and fate of pollutants in the decision support system is predicted using another model and CORMIX (for uniform, non-uniform and stratified flows). Gabardo I.T., Platte E.B., Araujo A.S., Pulgatti F.H. (2011) "Evaluation of Produced Water from Brazilian Offshore Platforms". In: Lee K., Neff J. (eds) Produced Water. Springer, New York, NY (doi: 10.1007/978-1-4614-0046-2_3) discusses the use of CORMIX for modeling effluent plume dispersion of produced water discharges. This report titled "Refinement and Validation of Numerical Risk Assessment Models for use in Atlantic Canada", (2013), presents a "produced water cross validation study", where the DREAM model was compared with the CORMIX model. CORMIX is used to characterize the source strength of groundwater recharge in Karst Groundwater Hydrologic Analysis Based on Aerial Thermography by C. W. Campbell and A. G. Keith in Abstracts: Atmospheric, Surface and Subsurface Hydrology and Interactions, 2000 Annual Meeting and International Conference of the American Institute of Hydrology. Alaska Department of Environmental Conservation has issued a General Permit for "Large Commercial Passenger Vessel Wastewater Discharge. As per the permit fact sheet the CORMIX model was used to analyze and predict the behavior of cruise ship wastewater discharge plumes as they mix with marine receiving waters. The Uniform National Discharge Standards (UNDS) Program used CORMIX for dilution studies on ship discharges prepared for the U.S. Department of Defense in this " Phase I Final Rule and Technical Development Document of Uniform National Discharge Standards (UNDS)" document. Fossil fuel combustion releases "Greenhouses Gases" such as CO2, SO2, and HCL into the atmosphere and has been identified as a forcing factor in acid rain, global warming, and climate change. One possible solution is to use the oceans as a sink by capture and disposal of dissolved flue gases directly into the coastal environment. Dissolved CO2 discharges produce dense effluents which transport the dissolved gas quickly towards the bottom. In a paper titled "Alternative Models for the Disposal of Flue Gases in Deep Sea" P.N. Tandon and P. Ramalingam uses CORMIX models to investigate the transport and mixing behavior of dissolved gas discharges into the ocean and present analysis of the likely ecological impact. 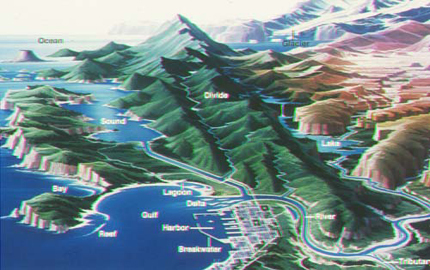 (Reference: Environmental Coastal Regions, C.A Brebbia ed., 2nd International Conference on Environmental Coastal Regions, Computational Mechanics, Inc. 1998, pp.185-194). Related paper, P. Ramalingam, "An environmentally friendly solution for disposing of flue gases in deep seas: a mathematical model", First International Symposium on Urban Development: Koya as a Case Study, doi:10.2495/ISUD130171. Underwater construction of pipeline generally requires excavation of trench. This report by the US Army Corps of Engineers Cold Regions Research Laboratory outlines how CORMIX was used to predicted environmental impacts from trench excavation for a proposed project to bring Canadian natural gas to the United States crossing Lake Erie. The Exploration and Geological Services Division of the Indigenous and Northern Affairs Canada, prepared a report titled "Use of Diffuser Systems for Dispersion of Placer Mining Effluent" in open file report 1996-2(T) in which CORMIX2 was used to evaluate different discharge designs to dispose of mine wash water. The US DOE report titled "Screening Risk Assessment for Possible Radionuclides in the Amchitka Marine Environment", 2002, indicates the use of CORMIX to study the dispersion of material in the marine environment from underground nuclear tests conducted in 1965, 1969 and 1971. The Doctor of Philosophy in Water Resources Engineering thesis titled "Air Injection for River Water Quality Improvement", Fall 2012 by Wenming Zhang, University of Alberta uses CORMIX as part of studies of injecting air/oxygen via existing diffusers to increase river DO levels, as a water quality remediation measure. A Research Partnership to Secure Energy for America (RPSEA) sponsored project and report titled "Deepwater Direct Offloading Systems", October 2013 indicates the use of CORMIX to evaluate potential effects of thermal cooling water discharges from "HiLoad DP" operations. CORMIX was used to model the discharge of suspended muddy sediment plumes from the spoils taken from the seabed during a marine outfall pipeline dredging operation in this paper titled Purnama, Anton & Baawain, Mahad & Shao, Dongdong. (2016). "Simulation of Sediment Discharges during an Outfall Dredging Operation." International Journal of Oceanography. 2016. 1-10. 10.1155/2016/8097861. The National Decentralized Water Resources Capacity Development Project (NDWRCDP) mentions CORMIX in this planning document about wastewater management.